Seiji Takamatsu is Managing Director of Space Syntax Japan, holding that position since 2006. He has worked on various projects in Japan, including some of the biggest and most famous retail facilities in the country. Seiji trained initially as a town planner and then went on to study traffic engineering and landscape planning at the University of Tokyo. After working in Tokyo as a planner for three years, he moved to London and was awarded his MSc in Advanced Architectural Studies from the Bartlett School of Graduate Studies, University College London. 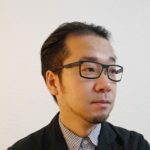 Before establishing Space Syntax Japan, Seiji worked at Space Syntax Limited in London as a Project Consultant from 2002, and then as an Associate from 2004. Seiji lectures regularly at universities and commercial organisations. He has been a visiting lecturer at the University of Tokyo since 2015, and was previously at Tokyo Metropolitan University for seven years.